The DCF 77-clock consists of two parts, the first part is the physical clock with its display whilst the second part is the receiver module with 4m cable. The receiver module has to be aligned with a DCF transmitter. If not DCF 77 signal can be received then the unit behaves like an ordinary quartz clock. 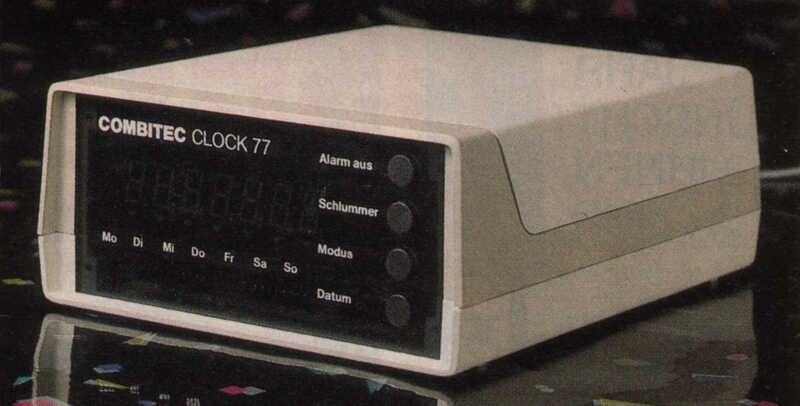 The clock connects to the Amiga via the serial port and was shipped with software to manage alarms, a simple tool to set the clock and some examples in basic on how to program it.